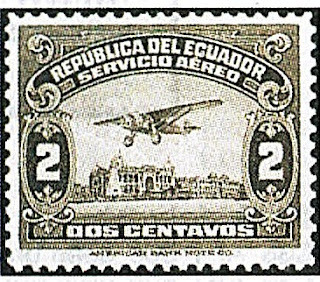 In 1929, Ecuador issued its second airmail set, picturing a plane over the River Guayas (Scott #C8-15). 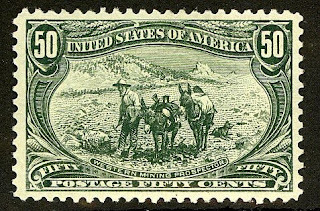 Only 2,000 sets were issued, and Scott '10 prices the unused set at $ 169.70 . This is yet another example of an absurdly undervalued Latin American issue, which should do very well as the economies of the region continue to grow. I have begun a new blog, "The Stamp Specialist", which will feature wholesale buy prices for stamps which I am interested in purchasing. It includes a buy list for Ecuador, and includes the set recommended in this article. Viewing dealers' buy lists every now and then is an excellent way to keep current on the vagaries of the stamp market.